When selecting new kitchen countertops, Portland homeowners have many different materials to choose from. Countertops in Portland run the gamut, from trendy granite to practical Formica – and everything in between. However, there are two increasingly popular options we’ve been getting a lot of inquiries about lately: engineered stone and ceramic tile. Engineered stone countertops, such as those made by CaesarStone or Pental, are composed of quartz particles bonded together with resin and pigments to create stunning kitchen countertops. Portland homeowners love quartz countertops because they offer all the beauty and elegance of granite, but with more durability and less maintenance required. Ceramic tile, on the other hand, is an old classic that has seen renewed popularity in recent years. Portland tile stores offer a vast variety of color and design options, making ceramic tile one of the most versatile and customizable countertop materials available. Maintenance. When it comes to day-to-day care, engineered stone wins the race. Not only is it resistant to mold, mildew heat, chemicals and scratching, but it doesn’t stain easily. 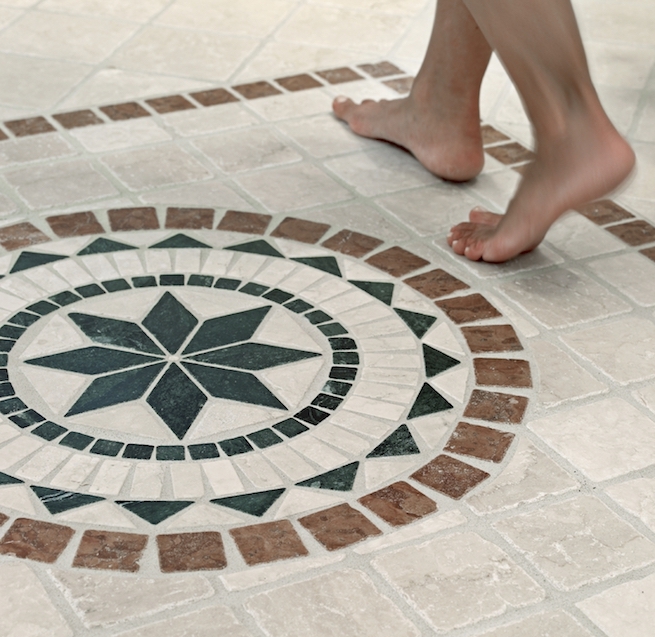 While ceramic tile is also relatively easy to clean, the grout can become stained – and scrubbing grout is not a fun chore. Durability. Engineered stone countertops are made for outstanding durability; they’re even less prone to cracking and breaking than granite. Ceramic tile is also a highly durable material; however, tiles are much more likely than quartz to crack or chip. Design options. Engineered stone may come in a variety of styles and colors, but it simply can’t match ceramic tile for customizability. Countertops in Portland are often an expression of the homeowner’s personality, and ceramic tile offers virtually limitless potential for imaginative designs, resulting in a kitchen countertop that’s not only artistic but entirely unique. Price. If cost is your main concern, ceramic tile and engineered stone are on fairly equal footing. Engineered stone can range from $40-125 per square foot – only slightly more expensive than ceramic tile’s $20-100 per square foot. In truth there’s no clear winner between these two outstanding kitchen countertops. Portland homeowners should instead consider the style and ambience they want to achieve. For a visual comparison, stop by our Area Floors store and look at samples.